This is a guest post from Amy in the UK. It’s difficult to keep up with all the latest cake decorating accessories and tools and the market, let alone find them in the local store. With regular baking taking place at home, I constantly need to keep my cupboards stocked with baking and decorating supplies, as well as ingredients – which can be difficult at times I recently came across a new online store www.makebake.co.uk which stocks everything you could possibly need to make amazing cakes of any shape, size or design. MakeBake stock a great range of unique supplies, necessities and ingredients, basically everything you need to complete your baking challenges. From cupcake carriers, cake tins, moulds, decorating tools, icing and decorations, the online store even has a dedicated section of the site for everything cupcake and cake pop related. The site was launched around twelve months ago, and has been a big hit within the baking community – even running popular weekly “MakeBake Monday” discussions on twitter, where baking fans and customer share images and details of their latest cakes and techniques using the hash tag #makebakemonday. 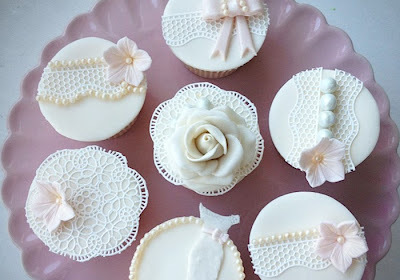 MakeBake also stock “SugarVeil” and “Cake Lace”, popular tools which allow you to easily create beautiful, flexible, edible lace icing, perfect for wedding, baby showers and general celebration cakes.